Joggbox kindly sent me* along one of their boxes for runners, after I’d met one of their founders Alexis at the Style PB launch event a week or so earlier. It’s a tried and tested concept- you pay a monthly subscription and you are sent a box in the post- but one with an angle I hadn’t encountered before. I’ve tried veggie boxes and meal boxes and even beauty product boxes, but I was excited to receive a lovely load of products specifically to support my running regime! My colleagues think I’m, like, a runner. Pah! Thank you Joggbox for making me appear like a healthy fit person to my colleagues, merely through association with you! The goodies were plentiful and I was impressed at the loot you get for a mere £15. I guess you could split the contents into several categories- gels, energy bars, snacks, and accessories. There was also a Running Fit magazine too- so I am naturally carrying this around in my bag with the title poking out of the top for the next two months, so I look sporty. I have tried the squishy Celliant socks (my socks are usually threadbare 10 packs from argos- I didn’t know a humble sock could contribute to such luxuriant running experience). I’ve also grappled with the Joggbox non-tie laces which have transformed my grey and pink trusty trainers into grey and orange fireballs of running fury. Gehwohl foot cream aided my perpetually dry and chapped tootsies after such fireball running- especially nice after the puddle-running battering feet take at this time of year. I mean, yeah I was basically leaving a blaze of fire in my wake from my trainers, but, I admit, they still got a bit soggy. Energy-type gels I’ve been slightly more wary of, just because I don’t feel like I run nearly hard or long enough to warrant taking them. However, in the spirit of trying new things, I gave one a try after a 5k jog on my usual London bridge route. I’d just like to take this chance to say: Body Volt gel, you sent me cray cray. Dear little packet of squishy gel, I know you have electrolytes and other goodness in you, but for your average recreational runner, you were essentially what you said on the packet- a shot of energy. I came home after this run, downed the gel, and then did a 20 minute kettle bell sesh in the living room. I could probably have gone on to run a further 5k in circles around house and continued to bounce around like Tigger until 3am, but my housemate eventually demanded I go to my room and calm the F down. Heh. 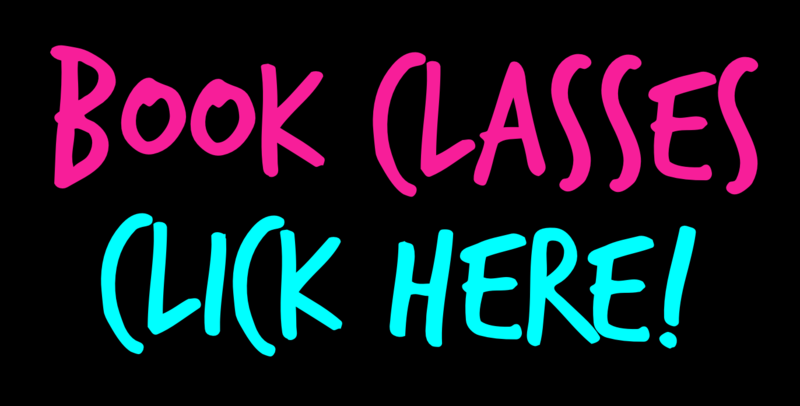 I have tried the Mule energy bars and Urban Fruit packets along with a cup of Miracle Tea as a 4pm snacks before I had an evening class, and know they are a better choice for me that 6 custard creams and a handful of Pringles from the work kitchen. And I’ve mixed Elivar rehydration sachets into with my post-workout water bottle, so I can replace all of the salts and electrolytes I’ve lost while sweating. Regular readers will know- I’m your average woman when it comes to exercise- I know roughly what’s good for me, and what I should be doing; this weekend I went for a 5km run and also ate a Nandos. Essentially I think I have a healthy but entirely normal approach to keeping fit. And so- I admit- I sometimes try these supplements and gels and bits and bobs without completely understanding the science behind them. Some people tell might tell me off for that. But I stand by my attitude- I think a lot of us who get into keeping healthy do this sometimes- “ooh, that looks nice and it replaces electrolytes!” (in all seriousness, wtf is an electrolyte?) but I honestly, truthfully, don’t see a problem with that. Don’t get me wrong- I draw the line at downing a cup full of ‘ROID RAGE before I nip into a ballet barre class (and would not recommend doing anything even slightly like this…) BUT, you only learn about this stuff by reading about it, trying it, and experiencing it. 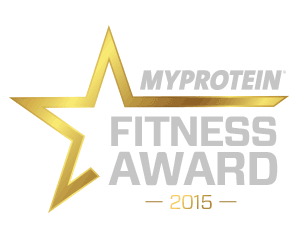 You should read reviews, have a little read, take advice on board, but it’s up to you to decide for yourself. 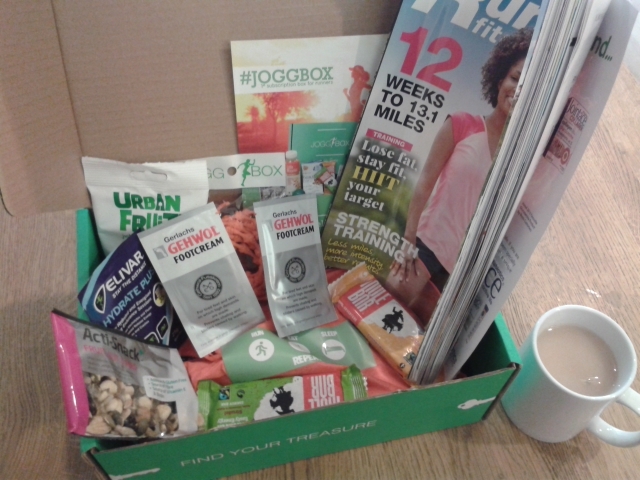 Essentially- this little joggbox was a box full of goodies that were a lovely treat, come from a brand I am prepared to trust, and I enjoyed sampling lots of things I usually wouldn’t try. And I think that’s the point; it’s good to try things and see how they change your performance/make you feel. Or if they just taste nice. Or make your feet feel nice. I guess what I am trying to say is I was a bit worried about this box full of bits being far too advanced for me and my little jogs. And then I realised that it is meant to be fun- otherwise, you’d just go out and buy the same things you always bought. 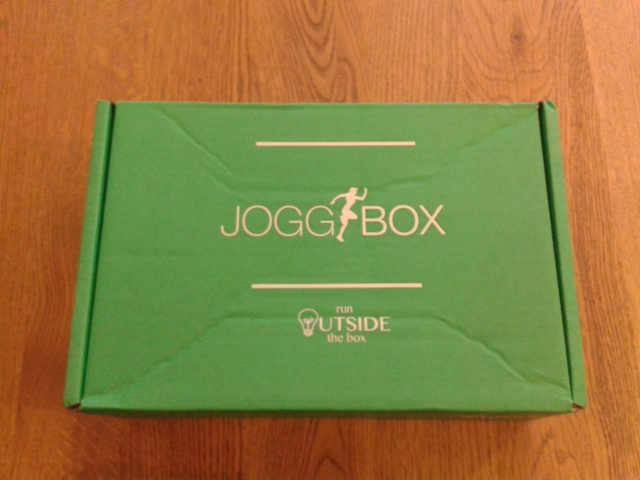 So- this Joggbox comes recommended by me if you want to try a few unusual little bits and bobs, as well as open your eyes and have a bit of fun with your running or exercise schedule. *(I was sent a Joggbox as a kind gift to sample and write about it I wished (thank you, Joggbox!) This has in no way caused bias on my experience of the product or my review of it).